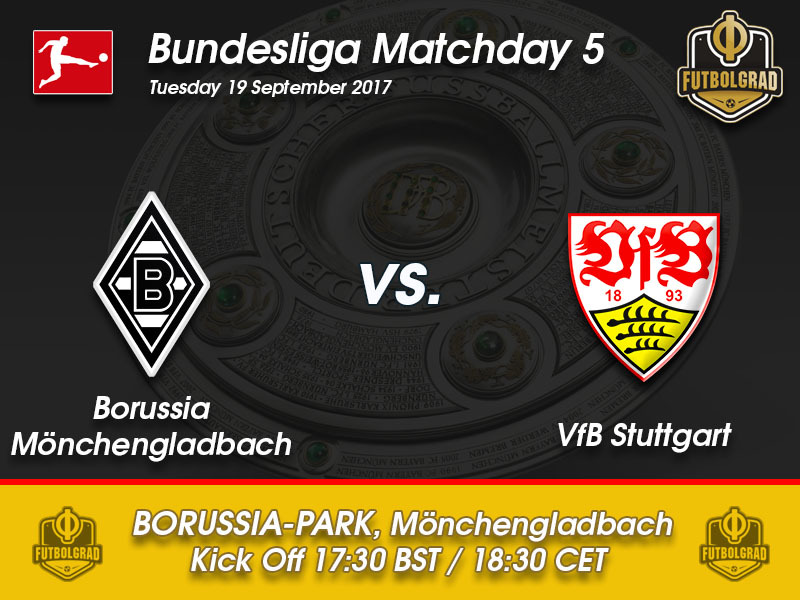 Gladbach vs Stuttgart – Tuesday, September 19 17:30 BT/18:30 CET – Borussia Park, Mönchengladbach. Match Day 5 sees a clash between “two teams both alike in dignity” but in this case arriving at neighbouring spots on the Bundesliga table in entirely different manners. For Borussia Mönchengladbach, their five points have been accrued through a shaky start to the season: a mandatory win against the league’s whipping boys Köln has been followed by a disappointing late draw against Augsburg and an even more disappointing loss to struggling Frankfurt before the ship was steadied at the weekend with a 2-2 draw at Leipzig. Recently-promoted Stuttgart, however, will be feeling far more sanguine about their six-point haul so far. With two wins under their belt, once again albeit against league-strugglers Mainz and recently demanagered Wolfsburg, they find themselves eying the top half of the table rather than the bottom. Today Gladbach’s manager, Dieter Hecking, claimed that Gladbach’s salvaging of a point against RB Leipzig was the result of a ‘going back to basics’ tactically. Through the course of the season, Die Fohlen have been attractive to watch in possession, rondo-ing their way around the field often leaving the opposition in their wake. Where they have been lacking is in their efficiency in creating goal-scoring chances and, despite scoring two at the weekend, the fact that these came from a penalty and a long-range effort from outside the box will continue to worry Hecking. What will please him, though, is the progression made by Denis Zakaria, twenty-year-old signing from Young Boys in Switzerland. As Zakaria has been so integral to Gladbach playing well, Hecking will be hoping that the current glut of fixtures will be kind to him and allow Zakaria some rest. On Tuesday, it is likely that the Swiss youngster will be brought off as soon as possible and so Hecking will be hoping that his team get the job done early. 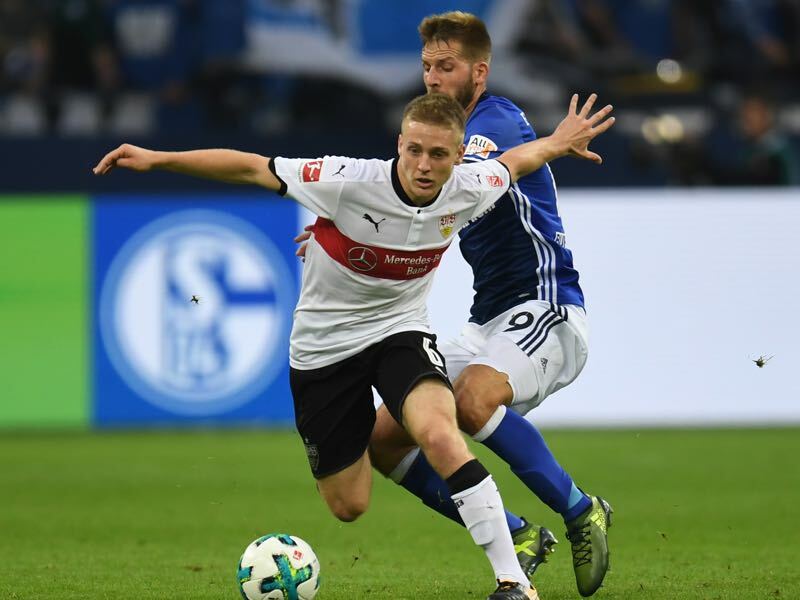 With this in mind, Hannes Wolf will go into the fixture with a level of positivity hoping that Stuttgart can cause problems for the Rhineland side. With Chadrac Akolo, Die Roten’s wide-midfielder, potentially reach a rich vein of goal-scoring form, Wolf will be mindful of the fact that Gladbach have failed to keep a clean sheet since Match Day 1. 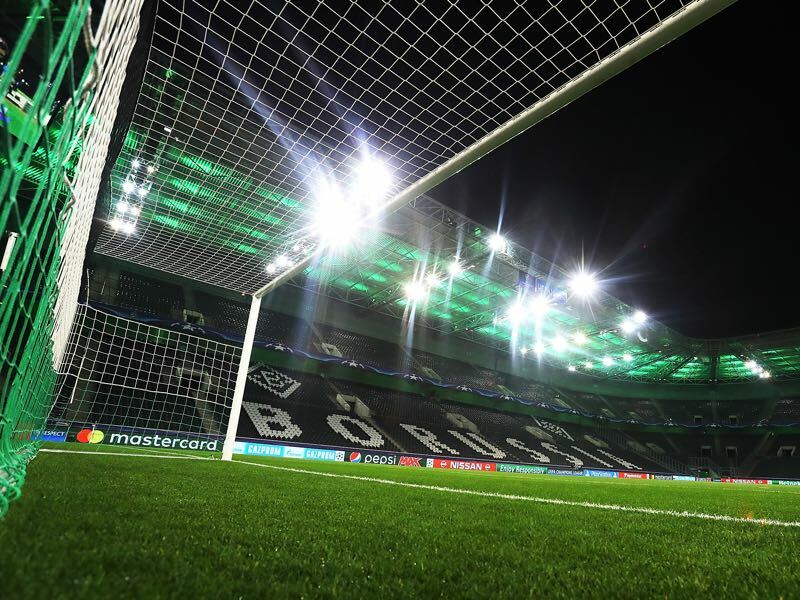 This game, then, is all about attrition for Stuttgart: if they can score early and make Gladbach labour for an equaliser, then they will be hopeful of taking some points with them back to the Mercedes-Benz Arena. But if Gladbach continue to build on their performance at the Red Bull Arena, then Stuttgart will have their work cut out for them. If there has been anything lacking from Borussia Mönchengladbach’s game in the season thus far it is goals: just five have been scored in four matches, cancelling out the five conceded. More worrying that this, though, is the fact that, of these five goals, more have been scored by Gladbach’s full backs than by their two strikers. Whilst this dearth of goals can be attributed to an inability to create clear goal-scoring chances by the team as a whole, some of the blame does lie at the feet of the two strikers, Lars Stindl and Raffael, both of whom like to drop into deeper positions as part of Gladbach’s build-up play. For a player of Stindl’s quality, just one goal in four games is insufficient regardless of the fact that, when it finally came in the match against RB Leipzig, it was well worth the wait. 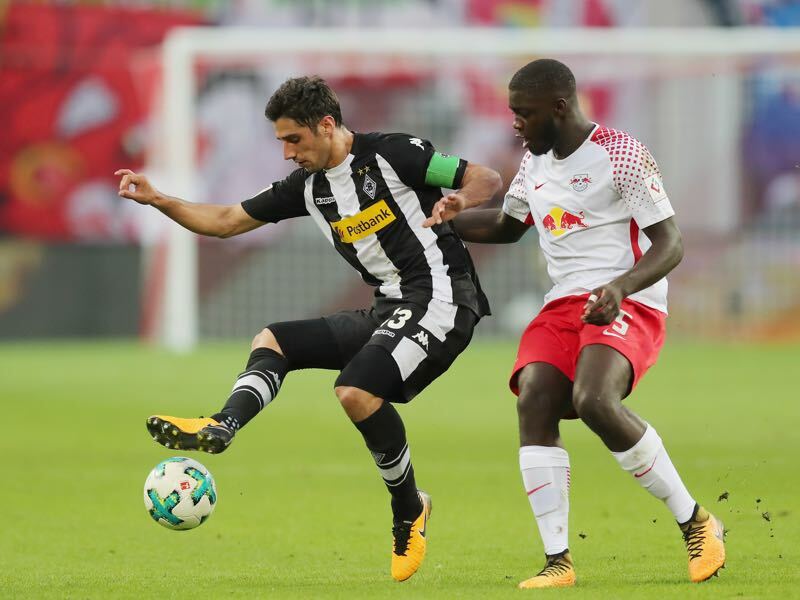 If Stindl can discipline himself to work into more dangerous forward positions against Stuttgart, though, Gladbach should cause them problems. One of the more unanticipated upheavals of the summer in Germany was Stuttgart’s shock firing of their director of football Jan Schindelmeiser and the immediate installation of his replacement, Michael Reschke, most recently of Bayern München. However unexpected it may have been for the club, the rewards are already being reaped in the form of Santiago Ascacibar, one of Reschke’s first signings at the club. Known in Argentina as ‘The Little Russian’, Ascacibar has already broken into the Die Schwaben’s starting eleven and looks to have made the deep-lying central midfielder’s position his own. Ascacibar comes in a similar mould to RB Leipzig’s Naby Keita—a ball-winner and ball-carrier, and an absolutely fundamental kind of player for a two-man midfield to work functionally. With both club having a long pedigree in the Bundesliga, the head-to-head between these clubs runs to 92 matches. Stuttgart have the historical edge, winning 37 to Gladbach’s 27 with the clubs sharing the points on 28 occasions. Hannes Wolf and Dieter Hecking have never faced one another in a competition. Wolf did, however, come up against Gladbach in the Pokal last season when André Schubert was in charge of club. In the event, Stuttgart lost 2-0. By contrast, Dieter Hecking has faced Stuttgart 19 times in his career with figures of 9W, 3D, 7L. Given that Gladbach haven’t kept a clean sheet in 4 games and given that Stuttgart have conceded in their last 10 away fixtures, expect goals in this game.